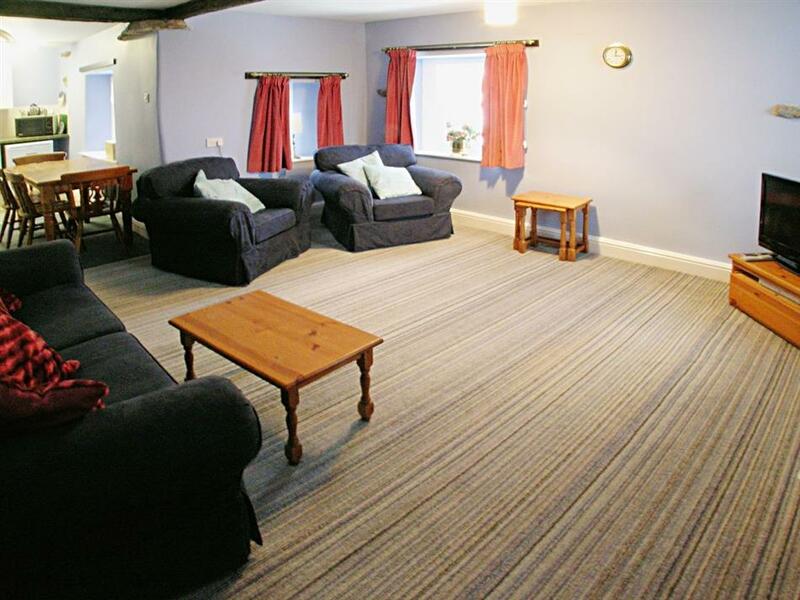 Eamont, Bank House Barns in Matterdale End, Ullswater sleeps 4 people. 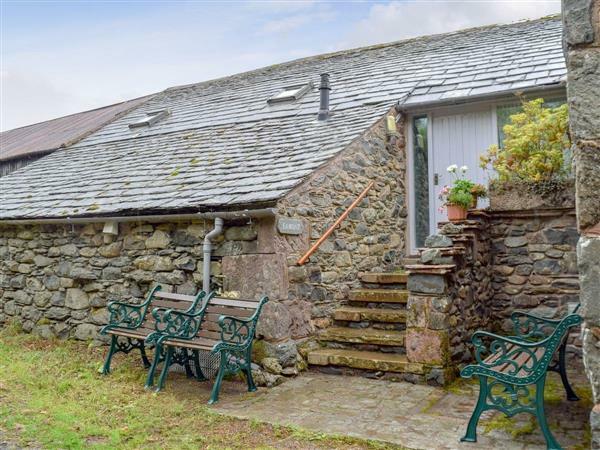 These three delightful cottages stand high on the fellside adjacent to the Cumbrian Way, with superb views across the valley to the hills around Ullswater. Converted from traditional stone barns overlooking a cobbled courtyard, they are all attractive and comfortable and make a wonderful holiday base. Experience Lakeland at its best, with every kind of outdoor activity on hand. Bank House Barns are a haven away from the stresses and strains of everyday living and ideal for anyone looking to spend some time amidst the peace and quiet of beautiful scenery. Walk straight out on to the fells from your cottage door, or go pony trekking and see the sights from a different angle (book at nearby Rookin House). Enjoy boating and sailing on Ullswater or take in the magnificent scenery on a launch trip up the lake. A region which offers something for everyone, whichever season you choose to visit – in the winter months, why not join the Lake District ski club and ski on Raise. For enjoyable days out, there are plenty of places to visit, including Aira Force waterfall, Wetheriggs Pottery Museum and Penrith Castle. Also in the area surrounding Penrith is the wonderful Rheged Discovery Centre, Lowther Leisure and Wildlife Park, Dalemain Historic House and Gardens and beautiful Hutton in the Forest. The lakes and fells to the south are easily reached or go north to the charming villages and historic sites in the Borders, a trip to fascinating Hadrian’s Wall is a must. Excellent hotels and restaurants can be found within a few minutes drive. All properties (refs NP2802, NP2801 [Lowther], NP29 [Little Eden]): Gas central heating, electric, bed linen and towels included. Cot. Electric cooker. Microwave. Laundry facilities. Garden seats. Parking (1 car). All properties: Gas central heating, electric, bed linen and towels included. Cot. Electric cooker. Microwave. Laundry facilities. Garden seats. Parking (1 car). 5 steps to entrance. All on first floor: Living/dining room/kitchen. 2 bedrooms; 1 double, 1 twin. Bathroom with shower over bath and toilet. No smoking. Holidays at Eamont, Bank House Barns run from Saturday to Saturday. For a better idea of where Bank House Barns - Eamont is, you can see Bank House Barns - Eamont on the map below. Bank House Barns - Eamont is in Cumbria; should you be on the lookout for a special offer, you can find all the special offers in Cumbria. It's always worth checking to see what is on offer at the moment. Do you want to holiday near Bank House Barns - Eamont (NP2802), you can see other cottages within 25 miles of Bank House Barns - Eamont; have a look to find your perfect holiday location.